Varnam FM Sri Lanka Radio Live Streaming Online . Listen over 70 Sri Lankan FM Radio Stations Online . Enjoy live Stream of Sri lanka music 24 by 7 online . 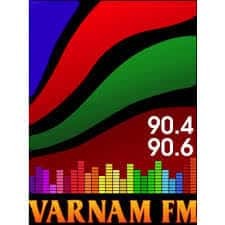 Varnam Frequency range is 90.4 to 90.6. Address : 117/10, Hunupitiya Lake Road Colombo 02, 00200 Colombo 02 , Sri Lanka .